We are here.. | BONKERS IN HONKERS! 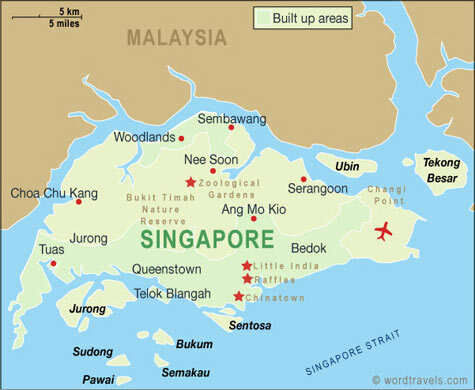 What’s the nickname for Singapore? Singers? ‘Spore? Lion City? We’ll have to think of something. Congrats on your movie. Where’s your next apartment? I’ll point you to places with decently good and cheap food + entertainment. Also check out Wireless@SG, it allows you to surf wirelessly from most public places. Whitedusk we have moved into Novena area. Please point me to cheap eats and have already checked out Wireless@SG, patchy coverage (I’m currently sitting on our new balcony leeching of a neighbour’s wifi!). You certainly didn’t move into an affordable area! If you are near United/Novena Square then there’s hardly any cheap fare around but if you travel a bit to Eminent Plaza there’s a really nice food court (not air-conditioned though…) with local fare. Or you can check out some of the food stalls along Balestier Road. Yeah we are right beside MRT stop, have not tried the local fare yet but willing and able! We had a nice bit of food at The Banana Leaf, still trying to clean off the curry from my fingers! Try ToaPayoh and Bishan. You will find cheaper markets and food. There’s a big mall at Bishan as well as a decently sized library as well. If you are looking for some entertainment, Planet bowl is near Farrer MRT inside the Civil Service Club.